Just some pictures from our last house. 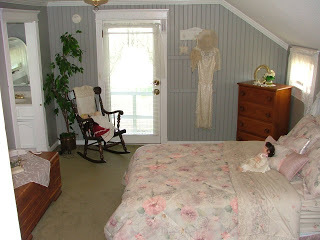 This was our master bedroom. 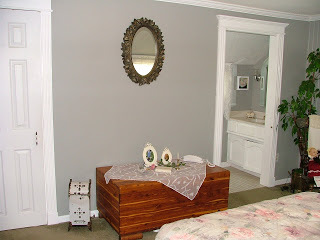 The wall color was gunmetal (shade of grey), with white trim, and olive carpet. The bottom step was hinged to hide valuables. 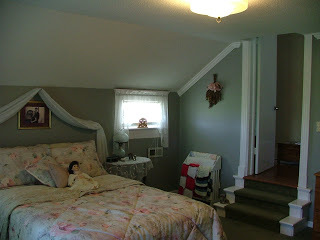 This house was a 1880’s victorian farm house, so we added some of that theme throughout the house. 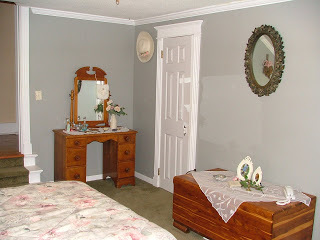 This door opens to a small walk in closet. 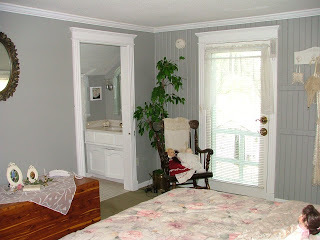 The door opens to a 3’x3′ metal balcony that overlooked our 5 acres. 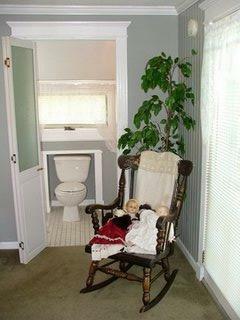 The bathroom was tiny and yes, the toilet is inset in the wall.